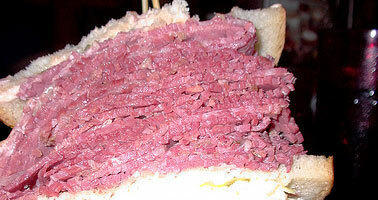 That's a whole lotta corned beef! This is a sandwich from the Carnegie Deli. Corned beef on top. Tongue on the bottom. It took 3 days to finish it.